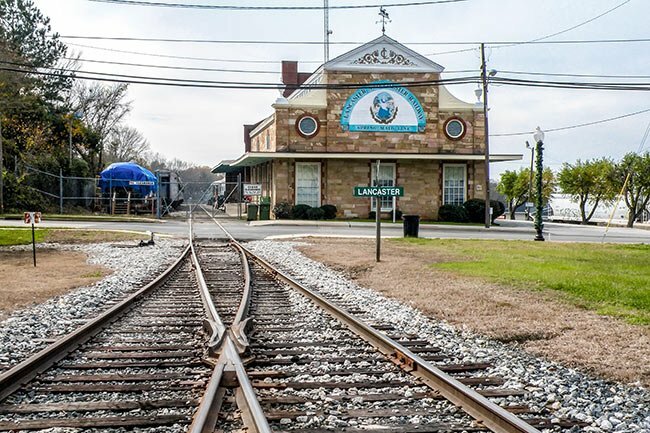 The Lancaster and Chester Railway – commonly called the L&C – is a transportation company headquartered in Lancaster that began in 1873 when the South Carolina General Assembly granted a charter to the Cheraw and Chester Railway Company. The Cheraw and Chester Railway was to create a 55-mile railroad that would travel through the towns of Chester, Lancaster, and Cheraw. However, funding for the project ran out before the line could be completed, and the railway was modified to a 29-mile route from Lancaster to Chester. 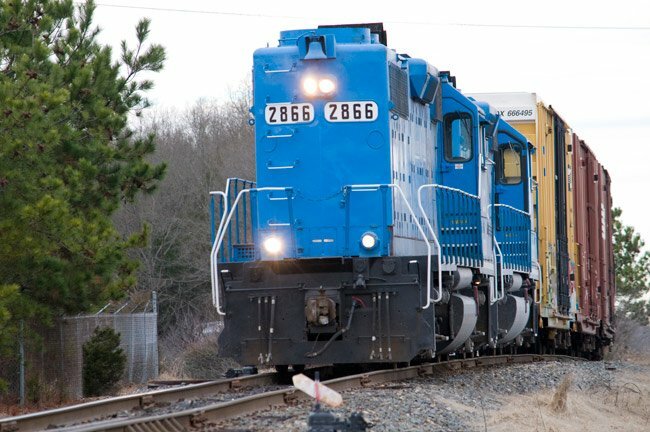 The initial investors were unable to contribute further funding to the railway, and the company went into foreclosure. As a result, an entrepreneur and business visionary – Colonel Leroy Springs, founder of Springs Industries – bought the faltering line in 1896 at auction on the steps of the Chester County Courthouse. Springs changed the name of the railroad to the Lancaster and Chester, though it became widely referred to as the Springmaid Line. The L&C seemed cursed from its inception. In 1899 both a wooden trestle over the Catawba River and the Lancaster depot were destroyed by fire, though both were rebuilt by the following year. The main problem for L&C was that it had been built as a narrow-gauge line. By the turn of the century most railroads were using standard-gauge lines. The discrepancy meant that the L&C could not interchange cars with standard-gauge locomotives, which led to extra labor in loading and unloading freight. By 1902 the L&C had converted to standard-gauge, but not without Springs investing a great sum of money. The change, however, paid off and the company prospered – though calamity was to come later. On June 30, 1913, a train from the L&C carrying 79 baseball fans to a playoff game in Chester derailed at Hooper’s Creek, killing five people and demolishing the Hooper’s Creek trestle. Passenger service ceased after the incident, as Springs was forced to settle claims filed by the passengers’ families, causing the threat of bankruptcy once again to loom over the business. While the company was rebuilding from the disaster, a 1916 tornado lifted and removed the first car of an L&C freight train – unbeknownst to the engineer, who kept the locomotive moving. As a result, the other cars smashed into the engine, and the story made national news. 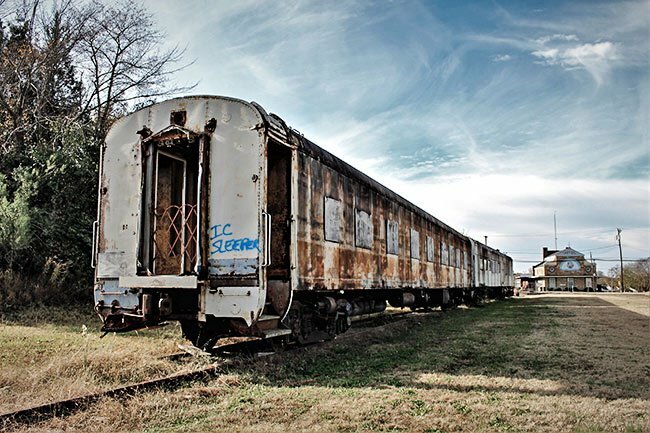 In 1931 Colonel Springs died, leaving the fateful railway to his son, Elliott Springs. Finally the L&C’s luck changed. Not only was the younger Springs able to keep the the railroad afloat during the Great Depression, but he brought prosperity to it with bold marketing moves, such as appointing burlesque dancer Gypsy Rose Lee as one of the company’s 29 Vice Presidents (one for each mile of railway, another marketing move). Incidentally, Lee’s title was Vice President of Unveiling. The L&C continued to operate on a wave of success, its woes apparently behind it. 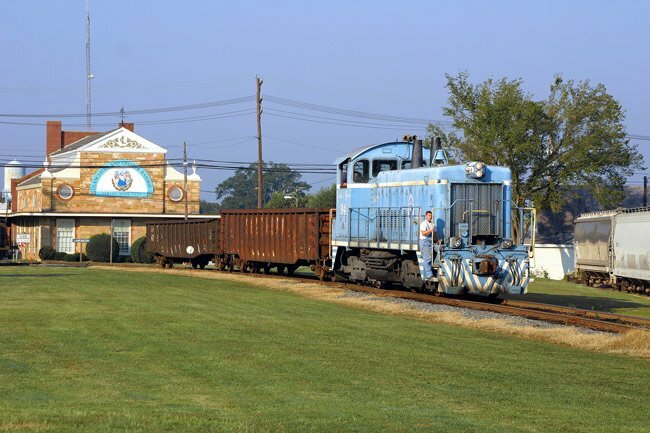 It converted its locomotives to diesel power in 1947, and after Elliott Spring’s death, the business continued evolving under the leadership of his son-in-law, Bill Close. Today the railway once again offers luxury passenger service through Amtrak as well as national freight service through both CSX and Norfolk Southern railroad companies. 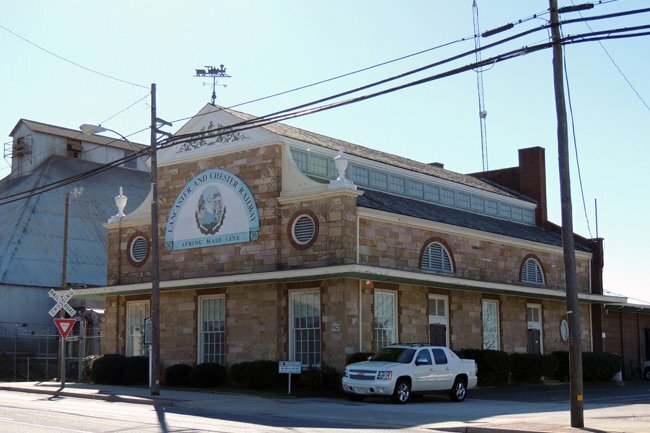 The depot pictured above was built in 1951 and serves as the business office for the L&C with a train museum on the second floor.